Patients frequently present with concerns about jaw joint pain, stiffness with movement of the lower jaw and jaw joint noises. The biological name for the jaw joint is the temporomandibular joint and thus problems related to jaw joint function are referred to as temporomandibular joint disorders (TMD). Dentists will sometimes refer to jaw joint issues as TMJ problems but the correct term is TMD. use of a night-time bite splint. On rare occasions, jaw joint pain may be persistent and more invasive treatments like pain killing injections or jaw joint surgery may be required. 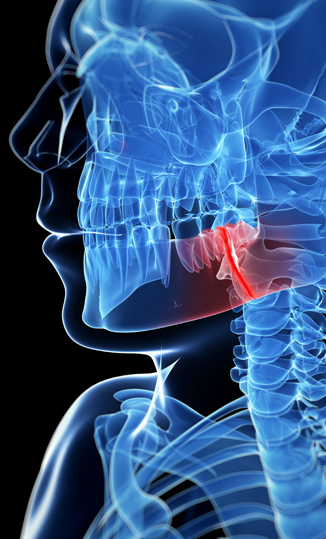 The strategy for treating jaw pain that is mostly muscular is slightly different. For example, rather than resting the jaw, the patient is encouraged to carry out stretching exercises. If the hinge joint (i.e., the temporomandibular joint) is not inflamed, then simple stretching of the lower jaw into the wide open position (as in yawning for example) can provide significant relief from jaw soreness. One of the interesting things about jaw muscle pain is that it can mimic toothache. This sometimes happens when inflamed muscle tissue refers pain into the adjacent teeth. The pain can appear to be just like a toothache, e.g., when you have a cavity or damage to your tooth. A good clinical examination will help to distinguish between jaw muscle pain and ordinary toothache. Jaw joint clicking is a common complaint. This phenomenon is more frequently seen in female patients and in most cases does not require treatment. However, there are circumstances in which the clicking joint needs to be treated. 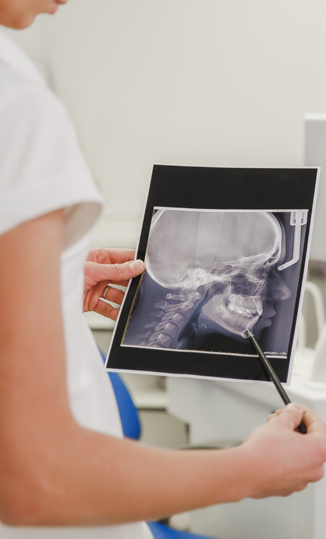 In circumstances where the jaw joint clicking is becoming painful or stiff, we can consider specific treatment approaches to alleviate the symptoms. Some of the treatment items mentioned above such as bite splints, oral anti-inflammatories, and exercise programmes, etc., may be helpful. A small percentage of patients with clicking joints will progressively deteriorate to the point where the jaw joint itself becomes stiff or locked. This more difficult scenario is often characterised by painful chewing. These symptoms may occasionally resolve spontaneously, but in most cases direct intervention is required. Treatment may include jaw joint injections or surgery, or the use of a bite splint at night time. Jaw joint locking can occur for a variety of reasons, the most common of which is movement or displacement of the disc within the jaw joint. The disc is a small piece of cartilage which is usually located between the bones in the joint and acts as a separator or stabiliser in jaw movements. This disc tissue may slide or move out of place in adulthood without causing a problem for the patient, but in some patients this phenomenon occurs in a way that causes pain and stiffness, which can be quite severe. Sometimes we see more unusual problems like arthritis and other degenerative diseases but these issues are relatively rare in comparison to the more common problems like jaw soreness and stiffness. However, the main thing to remember about jaw joint problems is that the success rate in treating them is very high. Jaw joints have a great capacity to repair, unlike some other tissues. Most of us think of headache pain as something that only affects the forehead, temple or top of the head but on occasion, headache pain may be felt in the face and can spread to the teeth of the upper jaw. When this happens, it can be misdiagnosed as toothache. This confusion is understandable because the experience of headache pain which spreads into teeth is so similar to ordinary toothache. Depending on the exact nature of the headache disorder, pain intensity may vary. Migraines affecting the face and oral cavity may last from four to 72 hours and are generally unilateral (one sided). Typically, it is experienced as a strong and uncomfortable throbbing sensation, which patients may feel is just a toothache. But the overall presentation is different to toothache in that other symptoms may also be present such as nausea, vomiting, and increased sensitivity to bright lights, loud noise and strong smells. Female patients are three times more likely to experience this discomfort than males. Patients most affected by this condition are likely to have headache genes, but other factors such as sleep deprivation/fragmentation, hunger, stress/anxiety, hormonal change, etc., may play a role. The nerves which supply teeth are part of the trigeminal nervous system. However, those nerves which carry headache pain are also part of the trigeminal nervous system. Thus it is not surprising that headache problems can also affect teeth to a major extent. One of the big issues for patients who suffer from chronic orofacial pain is the potential for overuse of simple painkillers like Nurofen, paracetamol and Solpadeine, etc. If the underlying problem is headache related, overuse of these ordinary painkillers (overuse means taking them more than one or two days per week) will ultimately make the problem worse. In other words, headache pains in the face can become more frequent if you take this type of painkiller on a frequent basis. Apart from migraine, there are other headache disorders which can cause very severe pain in the orofacial region. Some of these disorders are listed below. This can cause excruciating pain in the head and face. The episodes of pain tend to occur over a shorter cycle than migraine and generally only last from 30 minutes to four hours. Unfortunately, these intensely painful episodes can occur several times per day (and sometimes at night time). If the mouth is affected, the pain can feel like a very severe toothache. These more rare headache disorders are usually associated with symptoms like watering of the eye on one side (lacrimation), redness of the white of the eye (conjunctival injection), drooping of the eyelid (ptosis), sweating on one side of the face and a sense of diffuse swelling in the painful area. It is not unusual for patients to demand extraction of affected teeth during these painful attacks. Other rare headache problems can present as toothache, making it difficult to know exactly what is causing the tooth pain. Both dentists and patients have difficulty in identifying the problem, because the headache problem is so similar to an ordinary toothache. Apart from (facial) migraine and cluster headache, other rare disorders such as chronic paroxysmal hemicranias and trigeminal autonomic cephalalgias may mimic the pain of tooth ache or a jaw joint problem. Neuralgia pain (also called neuropathic pain) is a type of pain that occurs when there is a disease or disorder within the nerve itself. This type of pain is different to most other pains that we experience in and around the mouth. Ordinary toothache, for example, is called inflammatory pain, as it is due to inflammation of the nerve within the core of the tooth. The reason we note this difference is based on the fact that neuropathic pains respond differently to treatment. For example, the pain killing medications that a patient might take for regular toothache will not work for nerve pains. Patients with neuropathic pain will generally be prescribed drugs that are anticonvulsant in nature (i.e., those drugs used to prevent seizures from occurring). Although they are very different to regular pain-killing (analgesic) drugs, they are safe to use in most circumstances. However, as with all medications, adverse responses (unwanted side effects) can occur. One of the best specialist websites on trigeminal nerve disorders is: www.trigeminalnerve.org.uk. Below we list some of the more common painful nerve disorders that are seen in orofacial pain clinics. The best known of the cranial neuralgias is trigeminal neuralgia (TGN) which is defined as: “A sudden, usually unilateral, severe, brief, stabbing, recurrent pain in the distribution of one or more branches of the fifth cranial nerve“. Pain intensity ratings vary from “mild” to “excruciating” or “intolerable”. Uncontrolled pain has been associated with suicide. While commonly presenting as ‘electric shocks’ or ‘spasms’ of pain, this condition may manifest as a dull aching discomfort (referred to as pre-trigeminal neuralgia). Most commonly, TGN affects the second (maxillary) and third (mandibular) divisions of the trigeminal nerve, either individually or in combination. Understandably, this type of pain located in the tooth-bearing regions of the mandible and maxilla, may be misdiagnosed as odontogenic (i.e., pain from dental or periodontal disease). The vast majority of reported TGN cases are unilateral in location, but bilateral pain has been reported. Affected patients are usually in their fifth or sixth decade of life, but exceptions do occur. Distribution between male and female patients is approximately equal. Onset may be abrupt with rapid onset of extremely severe pain, or it may have an insidious nature with slow progression of symptoms. Periods of remission are characteristic of the condition and further complicate the diagnosis. Susceptible patients may attribute the sudden onset of pain to recent dental interventions or facial injury. However, the aetiology of this distressing condition is uncertain, and current opinion focuses on compression of the trigeminal nerve root by a tortuous blood vessel. Space-occupying lesions within the posterior cranial fossa may produce similar symptoms, but obviously the approach to treatment of this secondary or symptomatic type of TGN is quite different. Attacks of pain may be triggered by relatively innocuous activities such as shaving, washing the face, tooth brushing, etc. This potential to trigger pain by gentle movement of skin, tooth, or lateral border of the tongue is unique to TGN. These areas of acute sensitivity are referred to as trigger zones, which by definition ignite an attack of sharp, electrical pain on stimulation. Over time these trigger zones may change in location or disappear completely, leaving the patient with spontaneous episodes of pain, until the condition resolves. The region most commonly affected is the infra-orbital area, which includes the incisor, canine and premolar teeth. It is not unusual for a canine or premolar tooth to act as a trigger zone, responsive to mechanical or thermal stimulation. The resultant pain is often excruciating but brief in duration. A latent period (two to four minutes) follows during which the pain cannot be provoked. This period of latency during which the pain cannot be triggered helps to distinguish between pain of pulpal origin and TGN. Local anaesthetic injection either by nerve block or infiltration into the symptomatic region will successfully block the pain. This is somewhat surprising given the likelihood of this condition having a central origin. Diagnosis is largely dependent on a review of the patient’s history, having excluded other possible sources of pain. Younger patients with symptoms of TGN should be screened by a neurologist to rule out other neurological diseases (particularly MS). Idiopathic TGN will not be associated with neurological deficit in the distribution of the trigeminal nerve. Optimum management includes magnetic resonance imaging (MRI) of the brain and brain stem (with and without gadolinium contrast medium). Magnetic resonance angiography (MRA) may be helpful in confirming compression of the nerve root with aberrant blood vessels. Patients who present with symptoms in the first division of the trigeminal nerve should have an adequate ophthalmologic evaluation to rule out intraocular pathology. Pain is generally well controlled with anticonvulsant medication. A variety of medications have proven efficacy in the control of TGN including Tegretol, Neurontin, Epilim, etc. All medications in this class have potentially serious side effects and careful attention must be paid to the suitability of the patient for the medication that has been prescribed. Continuing supervision is required to monitor the patient’s response. Lack of symptom control or development of adverse reactions may necessitate a change in medication. Polypharmacy (using multiple medications) is to be avoided, as drug interactions are difficult to predict. Where pharmacological management is not possible or satisfactory, surgical options exit. Currently, radiofrequency lesioning of the trigeminal ganglion is the most popular option. Vascular decompression surgery may also be considered in cases where blood vessels have been clearly shown to impinge on the nerve root. Unfortunately, all of the interventions appropriate to the management of TGN have associated risks of morbidity and mortality. Thus, the decision to proceed with invasive treatment cannot be undertaken lightly. Pre-trigeminal neuralgia is described as a dull aching pain, lasting for hours or even days at a time. In a tooth-bearing area this is easily confused with toothache. Suspicion is often aroused by a lack of evident dental or periodontal pathology. Misdiagnosis inevitably results in unnecessary dental treatment. Merrill and Graff-Radford described 61 patients, 19 with pre-trigeminal neuralgia and 42 with TGN who received more than 100 unnecessary dental treatments before appropriate diagnosis and treatment. 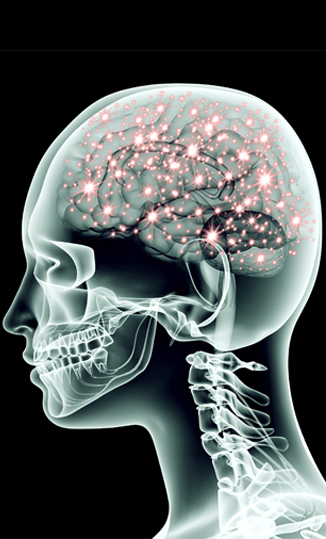 Neuropathic pain arising from nerve injury (traumatic neuralgia) within the trigeminal system presents a diagnostic and therapeutic challenge for dentists and pain clinicians alike. The development of neuropathic pain as a consequence of major trauma to the face and oral cavity is well documented. Recent reviews have focused attention on the complex relationship between dental factors and trigeminal neuropathic pain. Routine procedures including endodontic therapy, extractions, restorations, crown preparations and occlusal equilibration, have been identified as potential precipitating or complicating factors. Where a definitive diagnosis of neuropathic pain has already been made, it is important to avoid further invasive procedures which might aggravate an existing problem. Unfortunately, patients who are experiencing considerable pain will often seek out and encourage further procedures in an effort to alleviate their discomfort. In essence, this represents a complex interaction of peripheral and central neurological changes, possibly influenced by factors that are hormonal, microbial, genetic, chemical and behavioural. The extent to which recognised mechanisms of neuropathic pain are applicable to the trigeminal system has yet to be determined. In addition, it seems likely that the neurophysiological adaptability of the trigeminal system would offer a greater degree of resistance to the development of neuropathic pain. The extent of the problem is difficult to estimate as epidemiological evidence is compromised by a lack of acceptable definitions for recognisable neuropathic pain conditions. It is difficult to understand why some patients can undergo major surgical intervention with little neurological change, while other patients develop significant pain after relatively minor procedures. Current research focuses on genetic vulnerability, and if animal studies are an indication of human response, being in possession of certain ‘pain’ genes may determine whether or not our patients develop persistent neuropathic pain. Major nerve resection may be clearly associated with neuropathic pain and the usual clinical symptoms of allodynia (increased response to light touch) and hyperalgesia (increased response to potentially painful stimulus) are easily identified. Application of the same diagnostic principles to the oral cavity is much more complex. To ensure correct diagnosis of neuropathic orofacial pain, all possible sources of odontogenic (dental) pain must be eliminated. Thus, we must effectively rule out possible root fracture, residual infection or endodontic failure, ill-fitting removable prosthesis, etc. Traumatically induced neuropathic pain is likely to be described as continuous aching, stinging or burning pain with little variation in intensity. The location is constant and pain-free intervals are rare. This type of chronic pain will continue for years if left untreated. The selection of appropriate treatment is dependent on a comprehensive assessment of the patient. Where medications are likely to be poorly tolerated or contraindicated, local and regional nerve blocks may be effective. Supportive therapy from a pain psychologist/psychiatrist is essential for both diagnostic and therapeutic purposes. © 2018 Dr Dermot Canavan. Think Media.